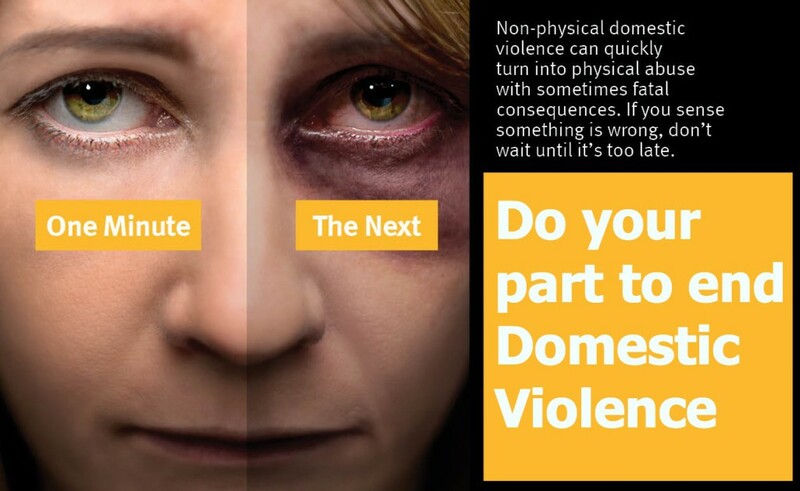 Domestic Violence | Coptalk.Info - What you do not know will shock you! Probably one of the most often types of call that an officer gets dispatched to and also one of the most dangerous is the domestic disturbance/violence call. The first police officer funeral that I ever attended really drove that point home. Two Richmond Ca. police officers were gunned down while climbing a stairway inside of a residence after receiving a domestic violence call from a woman inside. Both officers were killed and that was the hardest funeral that I have ever attended. To see the officer’s families and children crying was almost too much to handle. But it is not just dangerous to the responding officers, it is dangerous for victims of domestic violence to stay in a situation where they are battered or abused. Before I get into this topic, please, if you are a victim of abuse, whether you are old or young, married or dating, male or female, whether it is physical or mental abuse, Get Help Now. No one, and I repeat No One, should have to live in a situation of abuse. There is help out there if you want it. Every phone book has emergency numbers in them. Every police or Sheriffs department has hotline phone numbers for abused victims who need help. Physical abuse is a crime that has to be stopped. Tell someone. Help is only a phone call away. I am not going to get too deep into this, because I could type for days and not even scratch the surface of the types and causes of domestic violence. Domestic violence and abuse hotlines can provide important information about getting help, shelter, restraining orders, counseling and assistance in getting your life back together. I’ll never understand how a victim of domestic violence can stay in a situation of abuse. I know there are reasons, the most common is fear of leaving and loss of self confidence, but to see someone almost lose their life, then go back to the person who did this to them is beyond my understanding. I’ll never forget a call that I went to a few years back. I got dispatched to a call of domestic violence at a house with screaming and crashing noises heard by the dispatcher in the background. When we got to the house, we found a blood trail coming from the front porch, down the stairs, and across the street. This was not just a drip of blood here and there; it was a solid thick trail that was obviously a serious injury. We followed the trail, through a few front yards, over the hood of a car, and up to a front porch of another residence. In my mind, I was going to find a dead body here. Due to the amount of blood loss in the trail we followed, I did not think that someone could survive. I did not know if the injury was a stabbing or a shooting, but the amount of blood made it clear that the injury was serious. We found a woman collapsed on the porch in a pool of blood. Miraculously, she had a pulse and was breathing. She had severe head and facial injuries, she had beaten with a heavy object in the face and head so badly that her face was not recognizable as a face. Fire and paramedic personnel arrived and she was taken to a trauma center. We went to her house and with a PA speaker and ordered her husband out. After throwing items through the front windows, he finally came out, covered in blood. He was not injured; it was his wife’s blood that he was covered with. He had beaten her with a ceramic vase. When that broke, he continued the beating with a chair leg. He was arrested and taken to jail. We did our part, we got medical attention to save her life, and we arrested her husband, and provided her with all the needed information to get out of the situation. About a month later, I took my family to a nearby lake for a little swimming on a hot day. I was shocked to see the same woman that was beaten almost to death, with her husband, the scumbag who did it to her. Turns out that his family bailed him out of jail, and due to his wife’s insecurity and fears, she went back to him. I was truly shocked. Since then, I have seen the same scenario over and over again. Victims of domestic violence and abuse returning to the same people who batter or abuse them. Abuse and domestic violence almost always get worse. What starts as verbal abuse, almost always escalates into physical violence later. Drugs, Alcohol, Depression, and Anger are all risk-associated factors that can lead to domestic violence. During holidays, there is a noticeable increase in suicides and domestic violence. It is not unusual to go to a call of a domestic violence situation, and to arrest a husband for spousal abuse. Upon our arrival, we often find the wife injured and bleeding, begging us to arrest her husband. It is not uncommon to arrest the husband, only to have the wife then jump on our backs trying to prevent us from making the arrest. My friend and a fellow police officer told me of an incident with his neighbor. My friend was actually at my house when his wife called, saying that it looked like the entire sheriff’s dept. was at their neighbor’s house. He later learned that his neighbor, who he describes as meek and mild, had gotten home late and drunk. After a brief argument with his wife who took his car keys away, he pushed his wife up against a wall threatening her. He stormed into his garage and she locked him out. He picked up an ax and began chopping his way back into the house as the police arrived. My friend later talked to his neighbor who told him that she has been married several years, and this was the first time that her husband ever laid a had on her. Alcohol and anger was the cause of this incident. Without help like counseling or substance abuse treatment, the 1st incident of abuse or domestic violence will more than likely reoccur. The 1st incident of violence can occur quickly in a relationship, or years later. The important thing is that if it does occur, put a stop to it right then and there. The “I’m sorrys” and “It won’t happen again” may sound good at the time, but they are soon forgotten. Most cops in their beats respond over and over to the same houses, the same people, and the same situations. We can only do so much. We often give a “band aid” solution to the situation, having one party leave for the night or an arrest if the situation allows for one. We offer information on restraining orders, domestic violence information, and shelters along with counseling. I often hear a woman say “this is the last straw, I’m not taking it anymore.” But a few days later, I get dispatched to the same house, the same people, and same situation. I just went to a jury trial that I had to testify in. It was a third strike case. (In California law, a third strike violent felony conviction is a minimum 25-year to life sentence). This particular call, I was dispatched to a domestic violence call where the victim was calling from home. The victim said that her husband had beat her, and fled in her car. I went to the house and found her at the front door. Her lower lip was split open, and she had a large amount of blood running down her chin onto her jacket. She told me that her husband of 12 years had punched her and fled. After an argument in her car, she tried to grab her car keys from the ignition at a red light due to her husbands erratic driving, nearly getting into several wrecks. Her husband punched her in the mouth and shoved her out of the car in front of her house before fleeing in her car. I took photos of her injuries, took the jacket as evidence, and told her to call us immediately if she returned. I later drove by her house and was surprised to see her car in the driveway. I called into the house and her husband answered. I told the husband to step outside, and after a brief confrontation, I arrested him for spousal abuse. His wife was hiding in the hallway during the arrest. She was so terrified when he had returned home, that she feared another beating if she called the police. She was also terrified of what he might do to her when he gets out of jail. She promised to follow through on a restraining order, testifying in court, and said, “this is the last straw”. What happened at the trial? She said that her husband did not hit her, that he slammed on the brakes in the car and she hit her mouth on the dashboard. She said that she lied to me during the original report because she was mad about his taking her car. The district attorney had to use me to impeach her testimony. I guess when she found out her husband could be sentenced to 25 to life (due to prior convictions), the beating was “not so bad”. As I’m writing this, the jury is still out and no verdict has been reached yet. I could write hundreds and hundreds of pages on situations just like the ones above. But that won’t solve anything. What we need to do is convince you, if you are a victim, to GET HELP NOW. Don’t let an “I’m sorry” or “I won’t do it again” solve the situation temporarily. That’s all it will be, temporary. The violence will escalate to physical eventually. A woman’s self confidence will slowly be beaten or drained away. I’m tired of seeing an intelligent woman say, “who would want me”, or “It wasn’t that bad, I’m used to it”. No one should put up with abuse. I have been married 17 years, and never once even thought of putting a hand on my wife. That’s the way I was raised, to know that violence is wrong. But a lot of children see Dad hitting Mom, and mom tolerates it. The children grow up and repeat the cycle. Let’s stop the cycle here and now. Abuse can be verbal. Just as painful and damaging as physical abuse. Don’t let verbal abuse drag you down where you lose self-confidence or self-respect. Eventually, the abuse will turn physical. Without self-confidence, the situation will be harder to get out of. If you are in a situation with verbal abuse, get help now before it gets worse. With physical abuse, once is too much. Don’t let an “I’m sorry, it won’t happen again” satisfy you. It WILL happen again, it is just a matter of time. Call someone; report the incident to the police. Even if you do not want to prosecute, you can document the incident in case of future incidents. Some states have a Must Arrest law regarding domestic violence, where if you are injured, the responsible spouse will be arrested. Don’t let fear control you. You CAN get out of an abusive relationship. There is help with everything from child care to financial assistance to shelters. The longer you stay in an abusive relationship, the harder it will be for you to get out. Like I have said many times, NO ONE deserves to be in a relationship where there is verbal or physical abuse. If you do not feel comfortable going to the police, tell a friend, a relative, a priest, anyone. Let them make the call. Domestic abuse is a crime, and ever since the famous O.J. Simpson case, domestic violence laws have been updated with increased penalties. If you are in an abusive relationship, remember that you are not the problem and you are not alone. It is not your fault. So many people in abusive relationships eventually believe that they are the cause of the abuse, that they deserve the abuse. This is when it makes it difficult to escape an abusive relationship. Call for help. There are phone numbers in phone books, at police stations, and sheriff departments. Help is only a phone call away. Have a friend or relative give you assistance. Remember that domestic violence is a crime, it is against the law. It is a vicious cycle that will repeat itself over and over if allowed to do so. Let’s not have our children grow up thinking that violence and abuse is a way of life. A recent case of domestic violence in my city resulted in a father taking his two young children hostage after shooting his girlfriend’s father, and his girlfriend escaping to safety. For two days, he held his children hostage with family members assuring police that he would not harm his two young daughters. After two days, he shot his children, then he killed himself with a bullet to his head. A cowardly act, but it all started with domestic violence. Let’s help put a stop to it now. If you are in an abusive relationship, get help now. It’s out there if you want it. If you know of someone in an abusive relationship, help him or her get out even if they refuse. Call the authorities, a domestic violence hotline, just get someone involved. I know it is hard to help someone who does not want help, but at least try. With everyone’s help, we can reduce the number of domestic violence calls, the number of domestic violence victims, and the number of police officer funerals for those officers who get dispatched to a call for help.